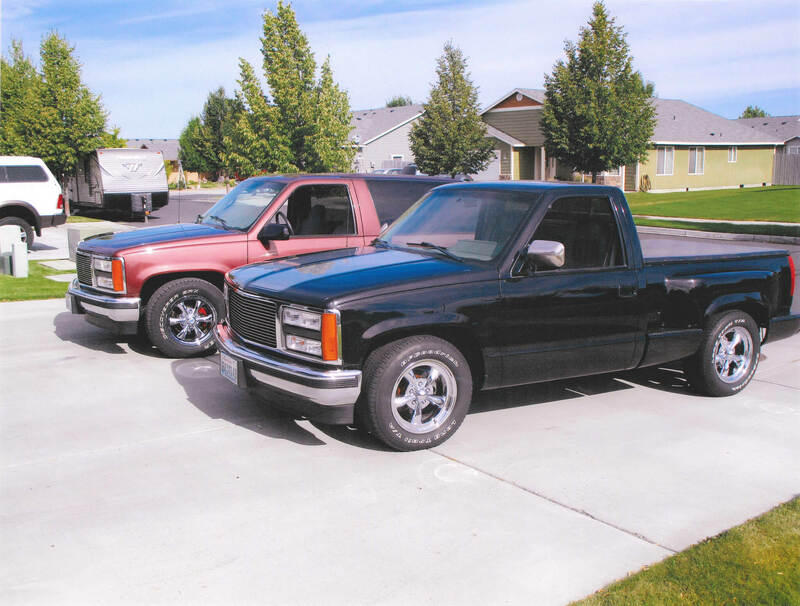 1993 Chevy Stepside 1500- Daniel M.
I have a 1993 Chevrolet Stepside 1500. I’ve had it for 18 years. It had 260,000 miles on it. It’s a 350 with a 4L60E transmission and a GMC grille. It’s lowered 2″ in front and 4″ in back. I also have a 1996 Yukon GMS Sport. It’s also lowered (2″, 4″) and has the same grille as the truck. 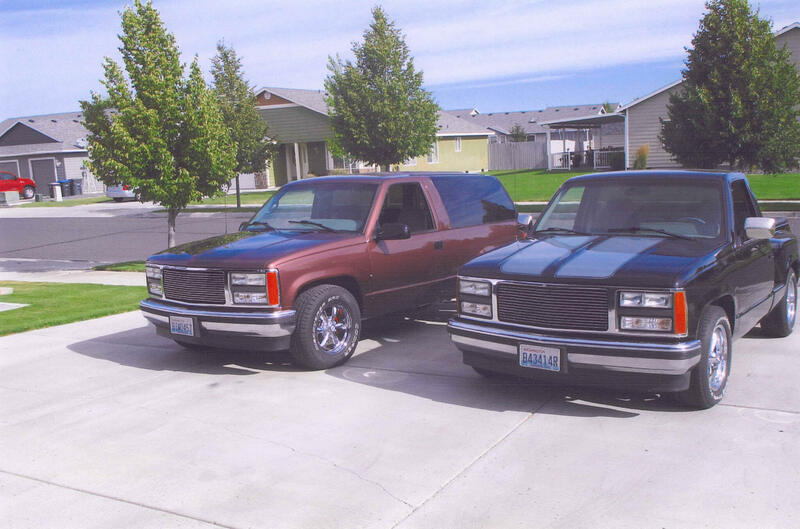 It’s a 4L60E with a 350 transmission, and it has 150,000 miles. I put Legend wheels on both trucks, 17×8. I did all the work myself. I am 70 years old. Thank you.